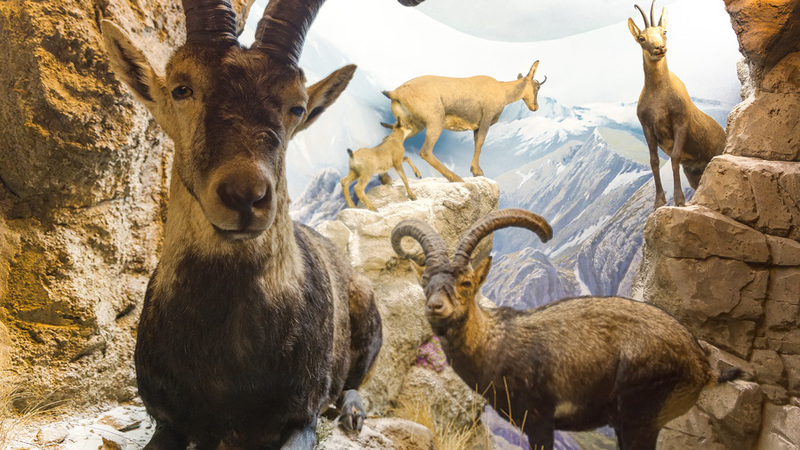 Itn this museum, whose base is the Taxidermy, both capture the naturalization of exposed animals was carried out in strict compliance with all laws, and have never posed any spoliation for Nature. In the Nature Park, one of its tiles says ENJOY NATURE, IT IS A RIGHT, DEFEND AN OBLIGATION. It is THE BEST FOR OUR GRANDCHILDREN HERITAGE. And that's the message you want to convey this museum. Advise children and young people that hunting is a positive action, and that only by knowing the love and respect may. Silence, effect of depriving our children of a rich knowledge, coartándoles freedom of choice. The first dedicated to hunting, modalities, their culture and their weapons. 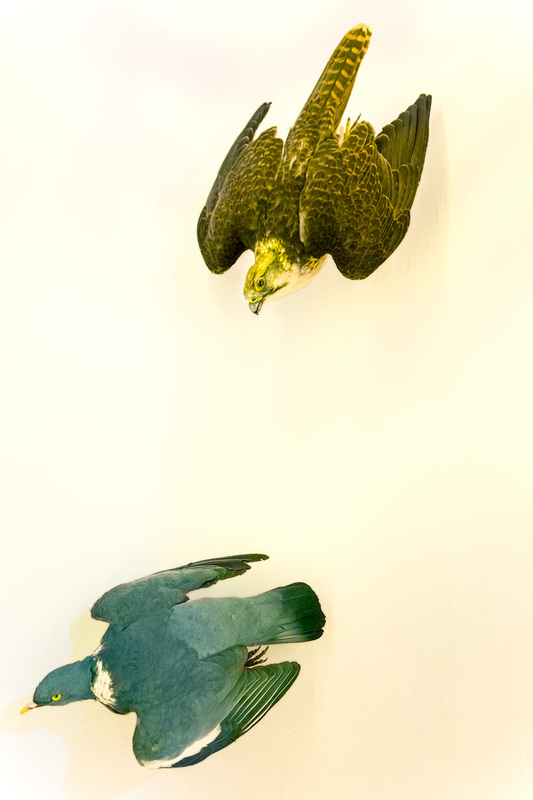 The second, Taxidermy and the working methods, both current and former. 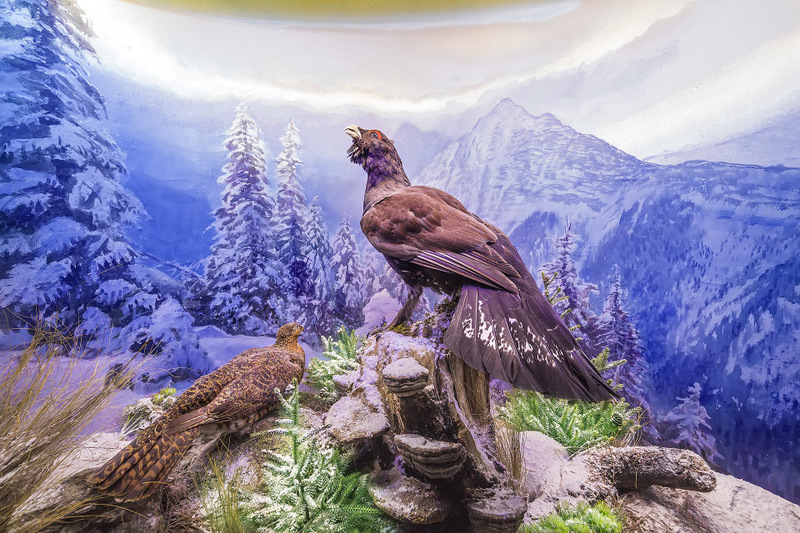 The third EXPEDITIONS called contains a magnificent collection of European birds and animals of the world game animals. The conference room is ready and equipped with audiovisual equipment to project on screen documentary on hunting and nature. In the first room, function that meets lobby, Photo presides dedicated S.M. King Juan Carlos I, first hunter Spain, thus paying a fitting tribute. 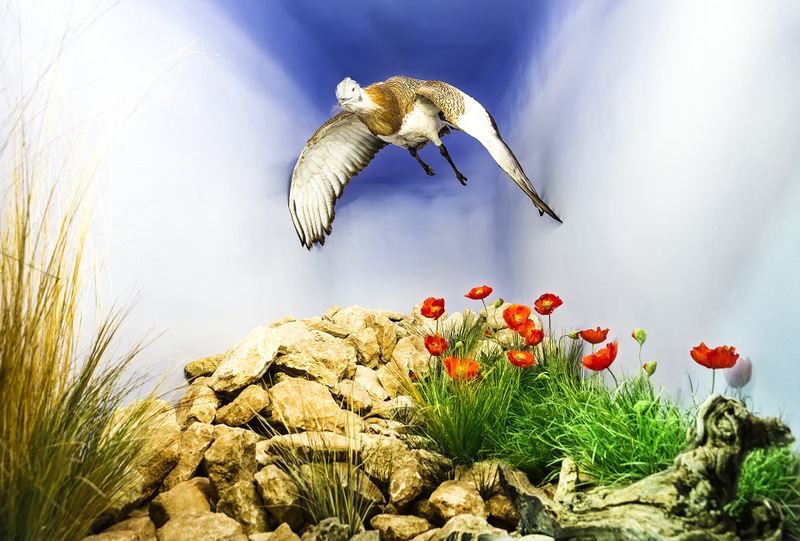 The two dioramas "the ojeo Partridge" and "hunting" feature hunting as an activity that generates employment, always so necessary. The two modes are most renowned in Spain, especially in Castilla la Mancha, Andalusia and Extremadura, and are also highly prized by hunters of France, England, Italy and the U.S..
"The generous and praiseworthy occurrence of perpetuating moments of the beast and the mountain in the Toledo area of ​​Los Yébenes, on the horizon in which freedom has no more frontier than death "
It is a traditional form that is practiced for hunting partridge, native in Spain. Is performed by placing the posts following the terrain; beaters or whisks are positioned opposite the direction of the screens and at the boundary surface to beat, a shout, move towards the shouting voices hunters and making noise to drive them towards the partridges. Ojeo hunting partridge in Spain, began in the late nineteenth century, and its economic impact in rural areas is vital for whole families who are economically dependent thus hunting. Hunting is hunting a variety of big game whose origins are lost in the mists of time. In her dogs have very special role as they are the main actors without which it would be impossible to carry it out. Meet at rehalas totaling between 10 and 12 Take the Pareja and are conducted by a perrero the podenquero. The breeds most features are the hound, mastiff and crosses between them. The first mission is to raise hunting and the second is responsible for capture feral pigs. In this system of hunting, Hunters are placed in a line or armed positions around the field, while the arcades are responsible for breaking the space or stain that peeks. Wild boar and deer are mostly folded down, species, lately, have increased with fallow deer and mouflon. Only in certain regions of northern Spain is authorized the wolf as part venatoria. The hunt, is mainly in the center and south of the Iberian Peninsula and their current form is the result of an evolution over the last 500 years old. The Montes de Toledo, for its thick forest and noisy pedrizas, are considered a prime area for practice, and in his heart the people of Los Yébenes sits with proximity to municipal 70.000 Has, of the 90% is dedicated to the big game. 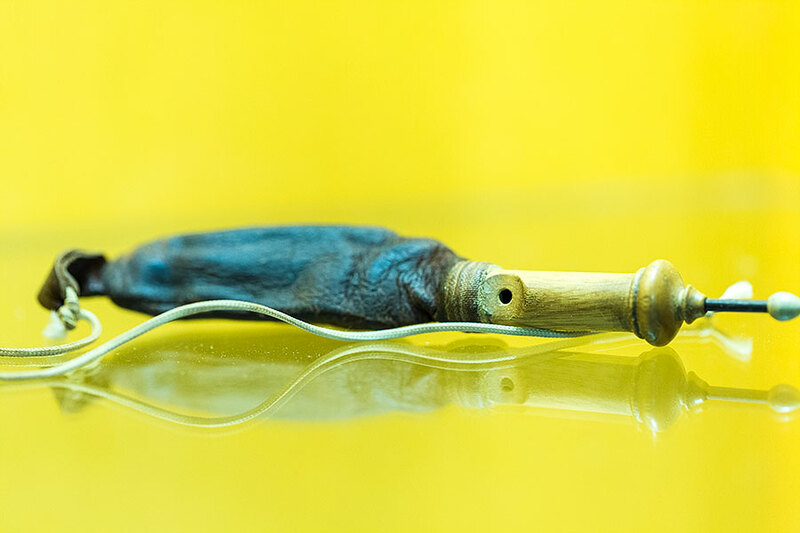 The sound of the conch of rehaleros when "loose" full of joy mount quiet morning and the "pick-up" in the afternoon. Between the two spaces, runs the camps. 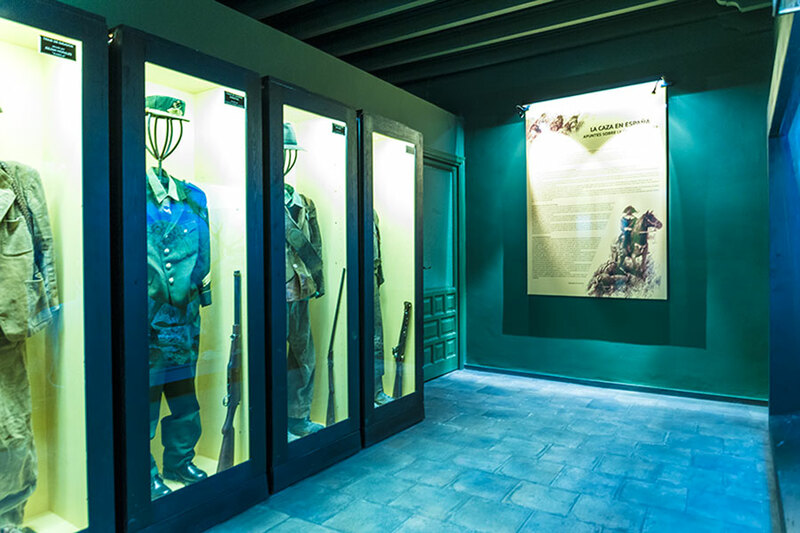 Four display cases house the clothing worn at the time by characters that are today part of the culture of the Montes de Toledo. The uniform that belonged to Benito Pérez Juárez ranger, right hand forester José Lara Alen, Preserve Drive Quintos de Mora. Beside, the private gamekeeper Francisco López-Rey Avendaño, responsible for preserves where the partridge, rabbit and hare were spoiled pieces. The nursery was his life until he retired, and could claim to never have had to fine anyone for law enforcement. Follow Julian Morales costume "Kabila", simple and humble as all secretaries and scouts. No one, like it, knew the flight of the partridge and deer haunts. The latter belonged to podenquero Eulogio Decimate "The Canene", a dear friend we mourn his untimely death. His joy and his voice in the mountains will always be remembered by all. It is practiced in the rutting stag. It is an absolutely selective mode as it hunts the only piece that was chosen as prey. The rut has two critical moments during the day, sunrise and sunset, the rest of the deer remain hospitalized in Mount. During the hours of activity, deer mark their territory with "marks" olfactory, antler rubbing and supraorbital glands against trees and shrubs; also have to defend their "harems" of harassment of rivals, engaging in fighting for the right to cover elucidate females, fights characteristics of polygamous species. The berrea, also known as "roaring" takes place in late September when the first rains of autumn fall. Deer, then, thrown into the air by his bellowing defiantly, the more bronco's related to the power and sovereignty of the Sierra. The rut of the deer not only excites hunters, also to all nature lovers. 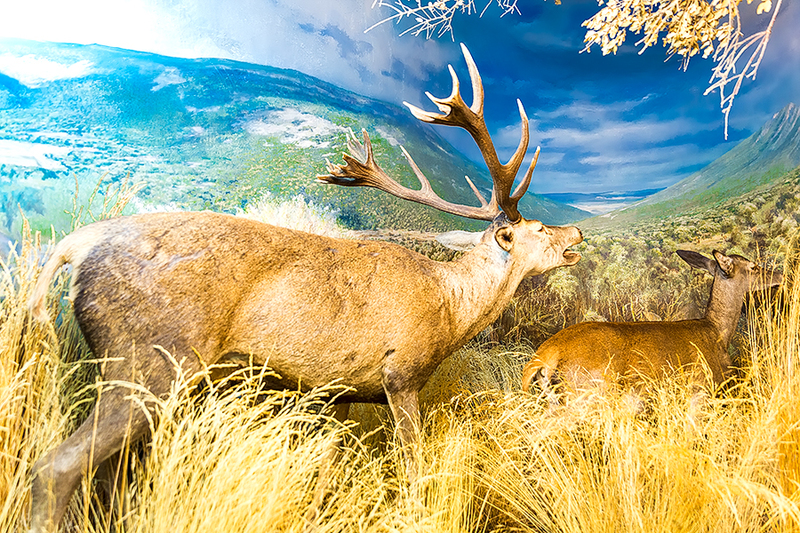 Alongside the reproduction is displayed diorama, seems so perfect that the original, National record deer, killed in the "El Pimpollar" by Jose Recio and achieved a score of 236 points. 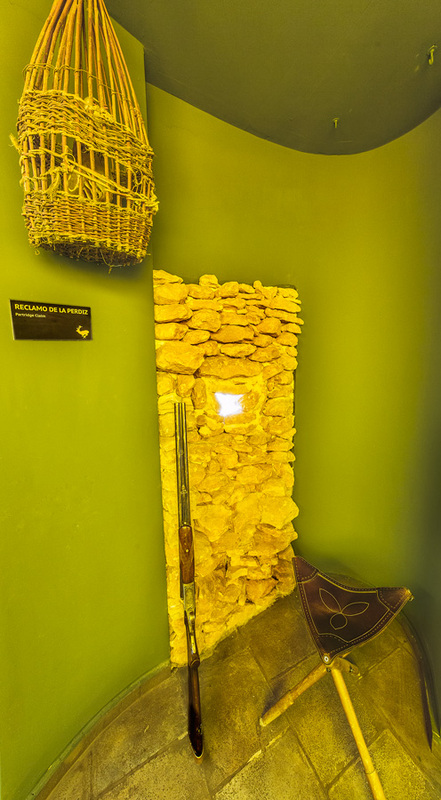 Wall, a significant sample of teratology Museum JUMELO, a unique collection gathered by the forester Francisco Mena Martín-Delgado, soul of the Natural Hosquillo. Teratology is understood by the scientific discipline, within zoology, studied abnormal creatures, namely, those individuals who do not respond to common pattern. It comes from the Greek words Tera (monster) and Lodge (study). 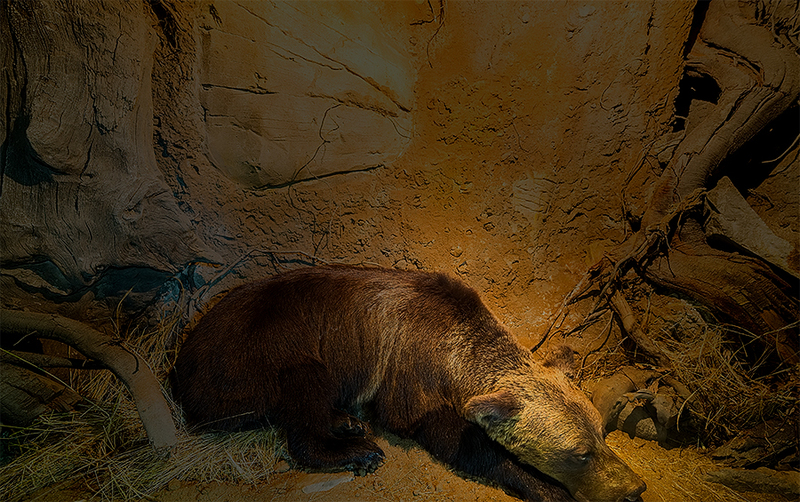 It is a female brown bear in hibernation while its breeding feat will play one, two or three cubs in January. The weight of newborns will not exceed 350 grams and its small size is because embryonic development comes down to the last two months. The fertilized ovum in the rutting (May-June) interrupted its development, remaining dormant stage until autumn, time when the egg is implanted in the uterus and pregnancy resets. This phenomenon is called deferred ovoimplantación. An adult can weigh 180 Kg.. and to live in a free state 25 years old. It extends from the mountainous area of ​​northern Spain along Asturias, Leon, Palencia and Cantabria, where they live more than a hundred copies; at one time occupied almost all of the Iberian Peninsula, where was disappearing due to habitat destruction and human persecution. Bears can occasionally cause damage to livestock and agriculture which are compensated by government, to be listed as endangered species. In the book "Hunting," says Alfonso VI was one of the estates of the term of the Yébenes "Valdelacarcel, land of pigs and bears ". 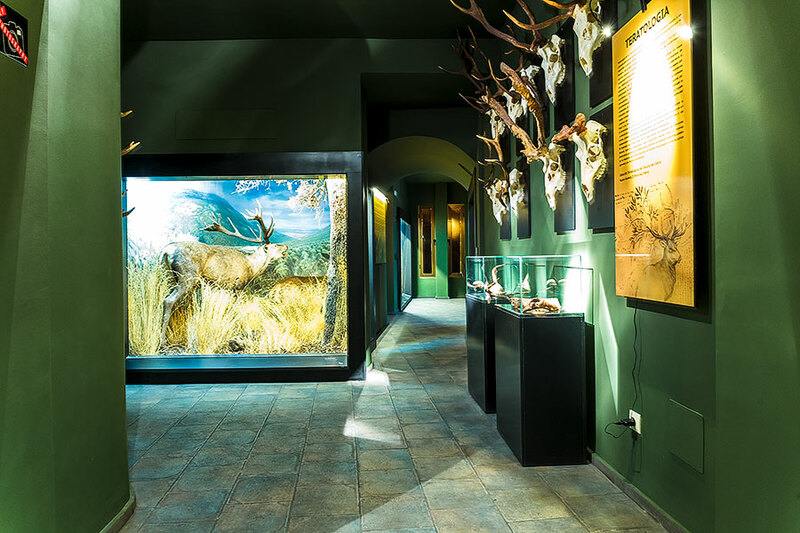 The specimen exhibited was donated by a Spanish hunter and comes from a hunting Romania, country with a census of more than 7.000 Bears. The wait is or await, next to the camps, the most used method to hunt wild boar in Spain; occurs, above all, in the evenings and nights of the summer months. Previously, after confirming the wants and the "steps" fixed, food places or bathe animals; In reaction, the hunter lies hidden at a safe distance from them, taking into account the direction and downwind. 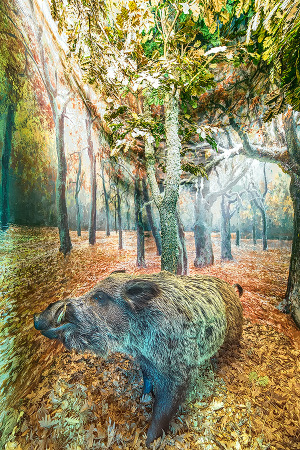 This method requires a lot of patience and silence on the part of its practitioners is basically night and day because feral pigs are kept in their encames. The full moon nights are especially conducive. It existed in the Yébenes a character who spent waiting almost 250 days a year and, in raw winter nights, using a domestic cat to warm hands. His name was José Antonio García Rojo, José Antonio affectionately known as "the of Lituero". 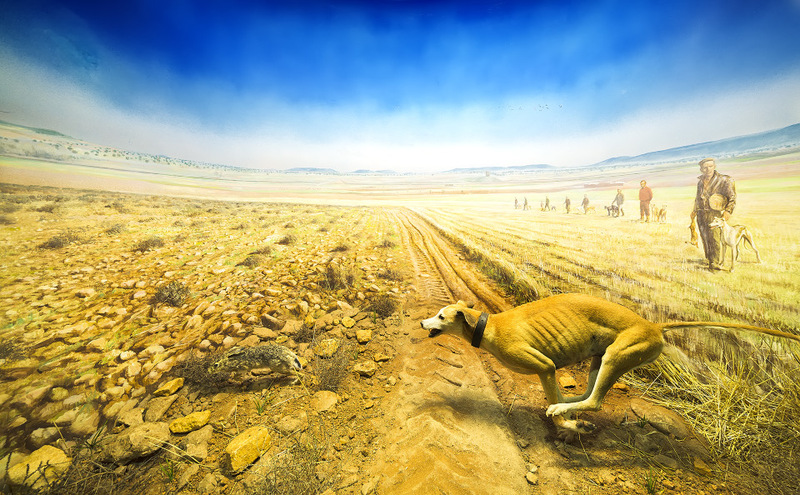 Greyhound used in Spain, as in other countries, for hunting the hare in open field. Hunting Dog Part, almost without human intervention, after a chase to the race in the company and with the help of another greyhound. 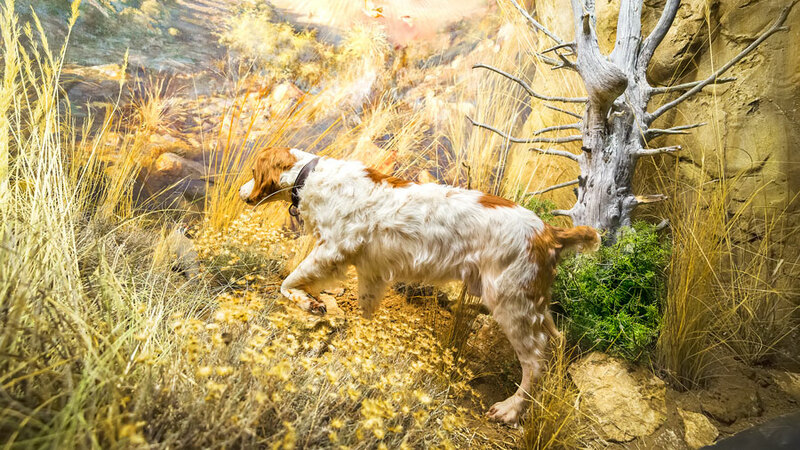 This type of hunting, which currently has sporty, in the past was surrounded by great social prestige that it had an impact on the owners of the best examples. The Greyhound is the largest canid in Spain and is often found in any town and city of the plains homelands. This race moves annually about 60 million, only among fans of galgueras societies where prepared between 3000 a 4000 greyhound racing. Nowadays, hare reserves increasingly, for hunting with hounds. Cervantes with his "greyhound" raised this hunt to hunting emblem. In the Middle and Modern Ages, small game was the only one allowed to the entire population and legislation poachers chased hard but, for many, wildlife was his only way to survive poaching and continued as evidenced by successive fought against laws. The species was hunted rabbit through bonds and stocks. The big game required some weapons that the farmer had no, so get a deer was, as little, unthinkable. The Napoleonic Wars weapons flooded the peninsula and hunting, consequently, he was greatly affected by the new circumstances, the civil wars of the nineteenth century did nothing but worsen the situation. Poaching and its characters are the result of the time in which hunting is a source of food of the rural poor. 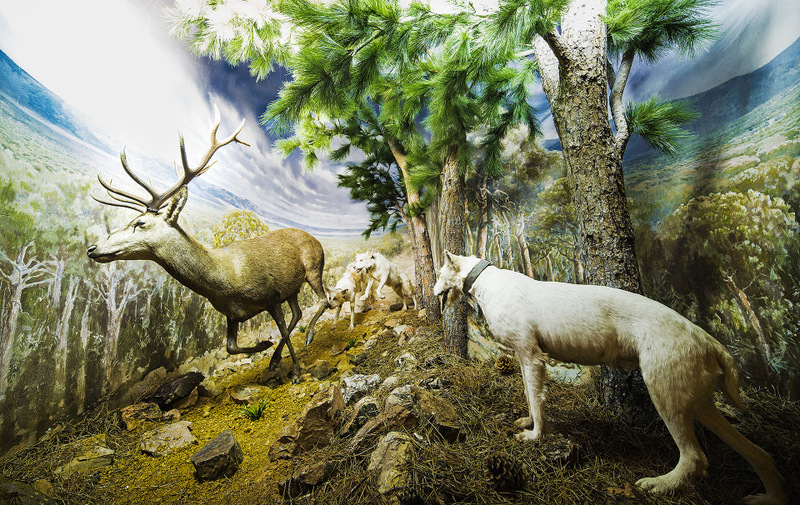 In 1904 the first general hunting law was passed in Spain, to which they have then followed other to date in which the responsibility of hunting has been transferred to the autonomous communities. Nowadays, Hunger is not the reason for poaching and protection laws of Nature pursue this harmful activity. There are two types of stealth: the Meat and Trophy. The first preferred females, abundant, channels to market their; second males for their trophies, either to sell or as a matter of personal pride. 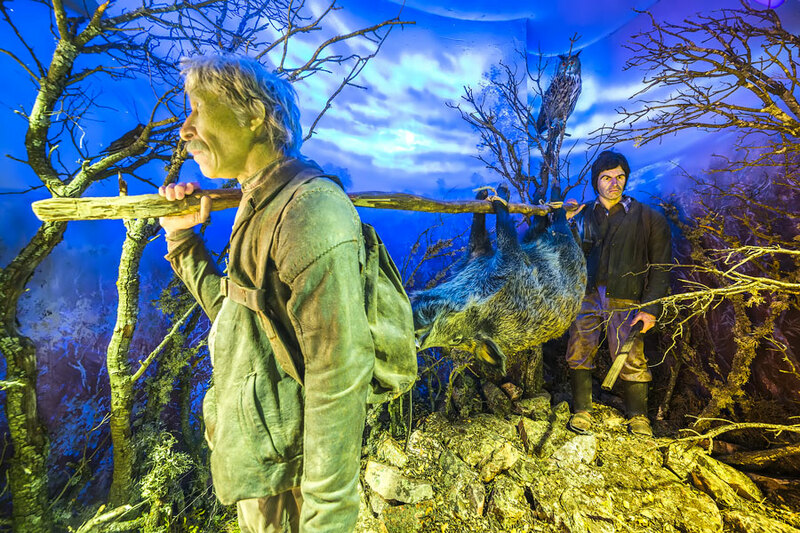 In the Natural Park of Los Yébenes you can admire the only memorial dedicated to sneak in Spain, but it is not a tribute to offenders, is to honor the hunter profession that was forced, in circumstances of economic hardship, contravene the laws to meet the top to feed your family. It is the essence of solitary hunting and presents unique features. The Marqués de Laserna, connoisseur of this type of game so masterfully described in his stories and considers hunting high mountain as the most significant challenge to nature because its hardness not fit mixtificaciones, to beat the coated mountain solitude and silence alone is worth the effort is the foundation of this hunt. In Spain game species are high mountain chamois and Hispanic capra. El rebeco (Rupicapra rupicapra) inhabits the Cantabrian Mountains and the Pyrenees. The Cantabrian subspecies is smaller than the Pyrenees which is also known by the name of "chamois". The ibex or mountain (Capra pyrenaica) is a proper endemism of the Iberian Peninsula. The distribution is as follows: Galician Montes, Central and Iberian systems, Mediterranean coastal ranges, mountains of Toledo, Madrona saws, Cazorla and Segura, Cordillera Penibética Mediterranean and Andalusian mountains. The male wild trophies are highly valued in the world. Falconry is the art of raising train, teach and heal hawks and other huntable birds poultry. Its origin is Asian and dates back several centuries BC. In Spain they brought the Arabs who had known of the nomadic peoples of Central Asia. Its splendor is lived in the Middle Ages and its decline during the Modern. After a period of decline, resurgence thanks to Félix Rodríguez de la Fuente, who was able to wake up the hobby of Spaniards for this form of hunting. Falconry is an ideal tool for airport security, because the raptors are used to scare away other birds from the slopes. In the Yébenes hardly any love for this mode. 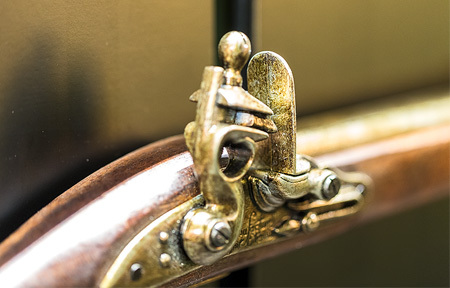 Throughout history, men have needed to feed and defend weapons and weapons have evolved according to the needs of hunting and war. The distance between the hunter and the prey was modified, the melee went to bow and arrow, Then came the spring and finally the invention of gunpowder marked a before and after to give rise to a new weapon that was advertised with a roar, which threw the musket fire and lead. The thrush is a wary bird, prudent and smart so you never risk his life when he catches the slightest sign of danger. Step, from the roost to the feeder or conversely, as may be the early morning or late afternoon. With claim, being prohibited by law appliances that reproduce the sound of the animal. 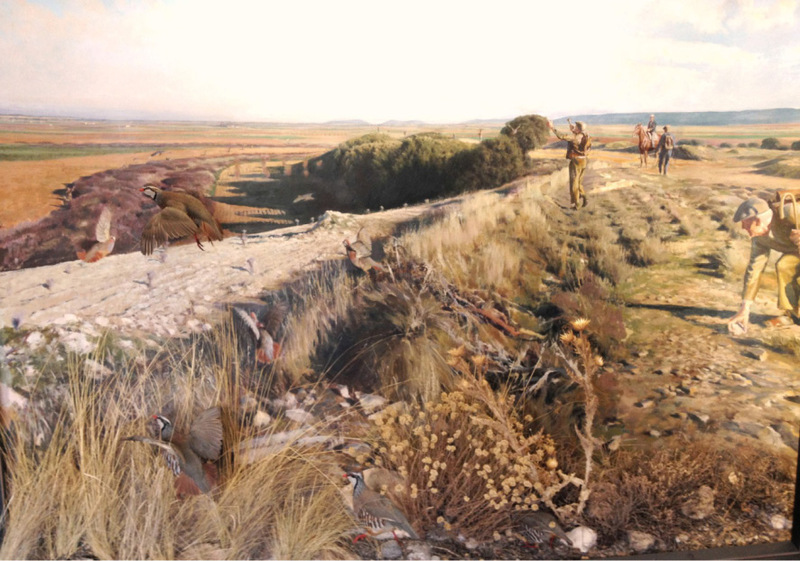 Hunting in "hut", practiced mainly in Aragon, Catalonia and the Balearic Islands, of placing in some quarters called "barracks", many sticks smeared league that remain attached to the thrushes. Hunting with red in Colls, consisting of the capture net. This process is a selective, for the other species are released without being damaged. Practiced, from time immemorial, in the Balearic Islands. The trap is a device designed to hold, retain or immobilize wild game. Use, It is currently banned in most countries. Before the introduction of myxomatosis that killed rabbits, there was a job in Los Yébenes, known by the name of "Ceperos", of many families living. The meat of wild rabbits was much in demand then, even the restaurants in the cities. The disappearance of rabbit entailed the Bobcats because those were their main diet. The term of the Yébenes, especially around the Guadalerzas Castle was considered one of the main habitat of lynx in Spain. The bustard is the largest bird capable of flying, reaches the 16 kilos in weight and can live between 10 and 15 years old. With a stately, tends to apeonar when disturbed in preference to flying. 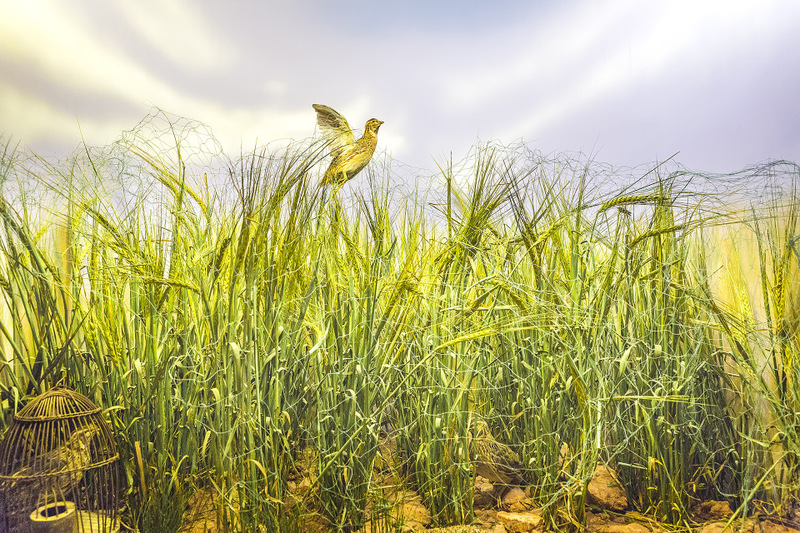 Its typical habitat is the grasslands and steppes, but with the advancement of agriculture has adapted to open terrain with extensive grazing and dry farming, especially cereal. It became extinct in the rest of Europe during the nineteenth and twentieth centuries, except a small colony in Hungary. In Spain banned hunting en1980, NCC still CEO José Lara Alen, hitherto hunting was considered part. It is estimated that in Spain (study as Seo / Birdilife of 2005) there 25.000 copies of which nearly half are settled in the region of Castilla Leon, 6.000 in Extremadura, 4.500 in Castilla La Mancha and Andalucia thousand. At the end of the Yébenes, in the area bordering with "Ardosa" Consuegra, the population is ever growing. "How many times to reach the body of the dead deer exague have felt a bittersweet mix of anger and pleasure to see such beauty lie. But something invites us to continue towards this species. Their hunting subjugates the only amateur to extreme who have become ill from it we are able to understand "
Few animals are comparable to wild deer for its beauty, its delicate poise and graceful movements. It is an animal of habit and curiosity is your greatest flaw, curiosity, often, makes him an easy target for the hunter. The abandonment of the population in rural areas has contributed to this species extends throughout Spain. Your trophy is highly valued by the fans to the big game, after making him ibex in one of the most desired. 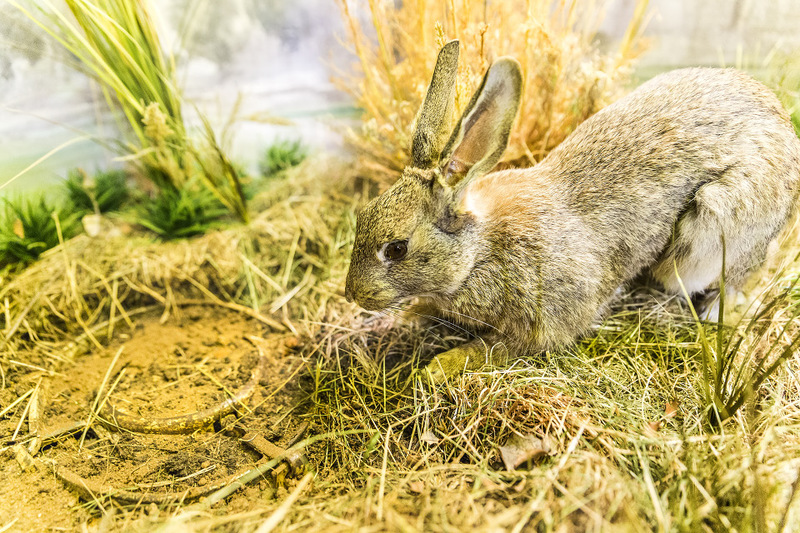 The Romans used ferrets to hunt rabbits, being one of the oldest hunting techniques. It is a carnivore that is readily domestic animal and its diet is raw meat be, sometimes think and river fish. It breeds well in captivity, giving birth to female 6 weeks an average of 12 offspring. Now, This type of hunting is limited as a result of the dramatic decline of rabbits produced myxomatosis. Only allowed if a plague of rabbits recognized that hurt crops. This game system is to introduce the ferret from the mouths of the burrow to vacate the rabbits, that will serve as a running white hunters. If the hunter is inexperienced and confused the burrow of a rabbit with a fox or badger, most likely that these kill the ferret. In Castilla la Mancha, permits to hunt with ferrets are common. 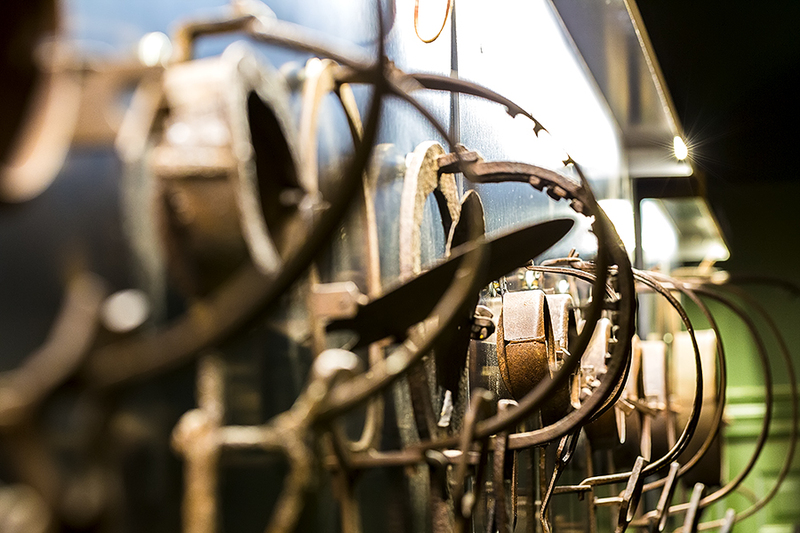 The collection of exposed stocks is one of the most complete in Spain. These instruments are now absolutely prohibited. Imagine that walking in the largest stocks in the cayerais field and one was not him to come forth to help. Best not to think! 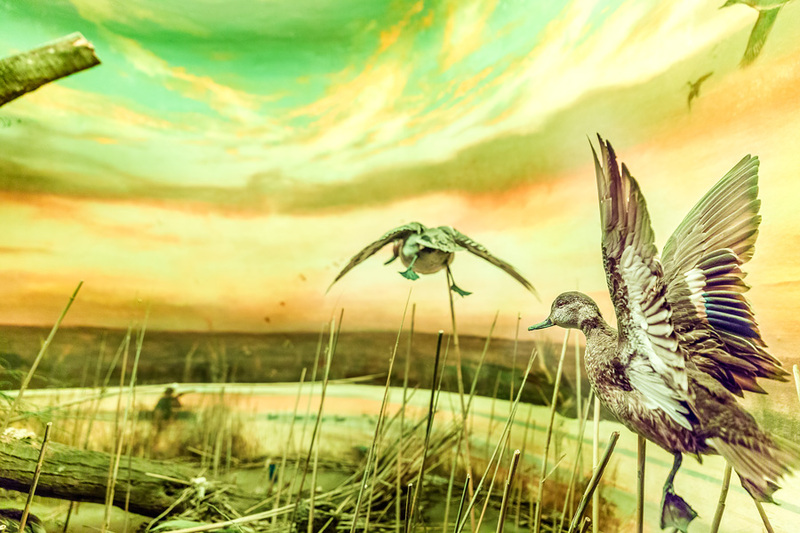 It is a form of hunting in which hunters are introduced in barrels located in the water or placed in boats and positions among the reeds, within an aquaculture area where the ducks have their natural inclinations. As well claim decoy used wooden or plastic. Practiced early in the morning and in the late afternoon. In Spain duck rolls are made lagoons, marshes, lakes and rivers and is a modality that has a long tradition. This form of hunting is more selective and less deadly. Only hunt in the two short months that the zeal of partridges occurs; He cut into the longer it is in the number, because it is intended only for males. Nor is there sets in all positions, shooting in poorly 50% often. It is an activity that does not break the ecological balance, or jeopardize partridge populations, so in the boxes devoted exclusively to this type, increases the population of partridges. In the Yébenes there has always been a great hobby. Cages with pellets that delighted the guests of a famous restaurant whose manager was still remember one of the most passionate in the region perdigoneros. Are used to remove the vermin, especially the fox, preserves small game. 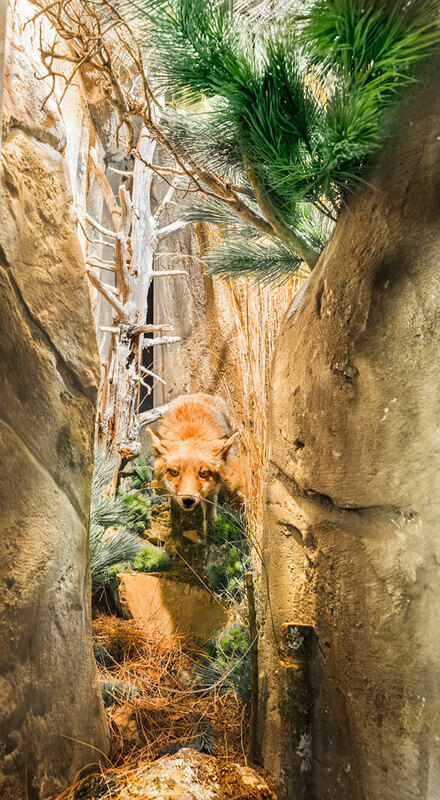 The bond is formed with a 2mm steel cable and installed, subject to the bushes or nailed down, in steps or paths where the fox has his fondness, having especially careful that the wires or shine or huelan. The shepherds of yore accustomed to leave them submerged in a water stream to oxidize the time and make them lose all smell. The best time for placement is from November to February, for animals that are removed do not breed the following spring. To use, administrative authorization is required. Small game in hand is practiced by several hunters, closed wing and equidistant from them, usually aided by dogs, to beat the field. Hands are made two to six hunters, and is a team game that requires some physical effort. Hunting the jump-with or without a dog- is probably one of the hardest ways and it practiced by the Spanish hunters. This is, by definition, Queen mode of hunting disciplines and also subject to high level competitions. 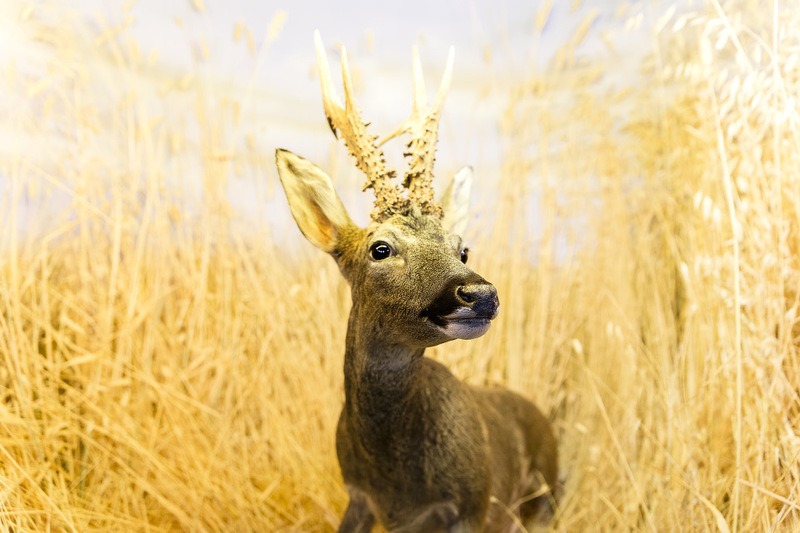 Despite not having in its municipal open spaces for hunting small game, are numerous hunters who practice the Yébenes this activity and several have been awarded by the Royal Spanish Federation of Hunting. This bird spends the winter in the warm lands of Africa and comes to breed in our country, returning south when cold weather approaches. It is a small bird 15 up 20 cm., weighing between 200 and 250 grams and a tawny brown fur, darker on the back and almost white on belly. There are also fond of hunting with network. These employ female claim or failing an artificial, with which the skilled hunter who knows imitate the loving call attracts quail under the net where it will then hooked. The difference with the claim Partridge, is that the quail is bloodless. The gray partridge is a galliforme of similar size to that of the partridge, although slightly smaller, with a total length of 29-31 cm. and a weight of between 350 a 400 grams. As the name suggests, is brown. In the gray partridge, also called pellets until the chicks have four months. 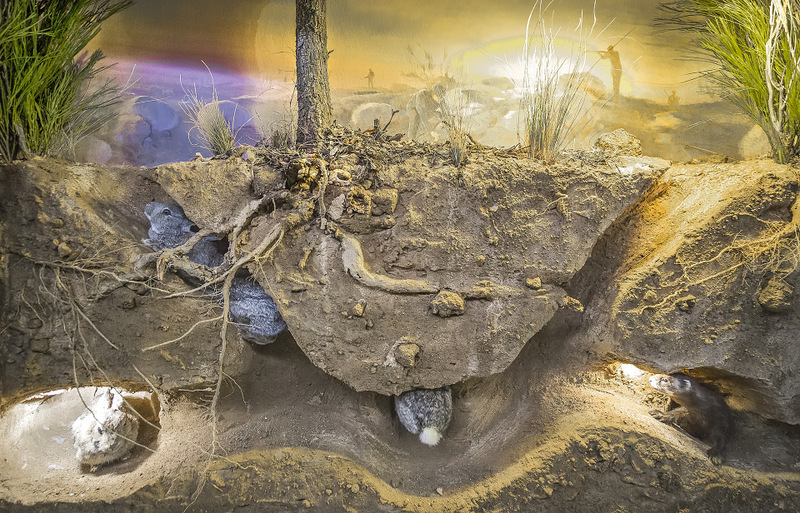 Their nests, which have in some cases 20 eggs, are the responsibility of the female incubated for 23-24 days. Births occur throughout the month of July, llegando only 2 the 3 the end of the season. Catalonia is the only place, in Spain, where you can hunt partridge. The hunting is done with dogs, October to January, Fitted with two partridges per hunter per day. The turtle dove is a migratory species that visit the Peninsula to breed. Breeding between May and July and runs two very white eggs that are incubated for 14 days by both parents. The chicks leave the nest after 18 the 20 days. The dove hunting is usually the step, for what to previously locate both feeders and where he will drink. 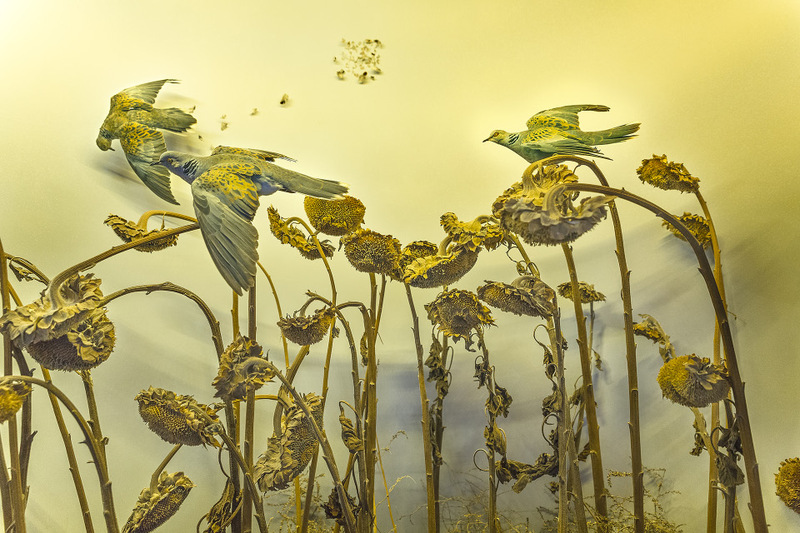 In the Yébenes, the dove hunting quail like jewelry constituted the midseason. 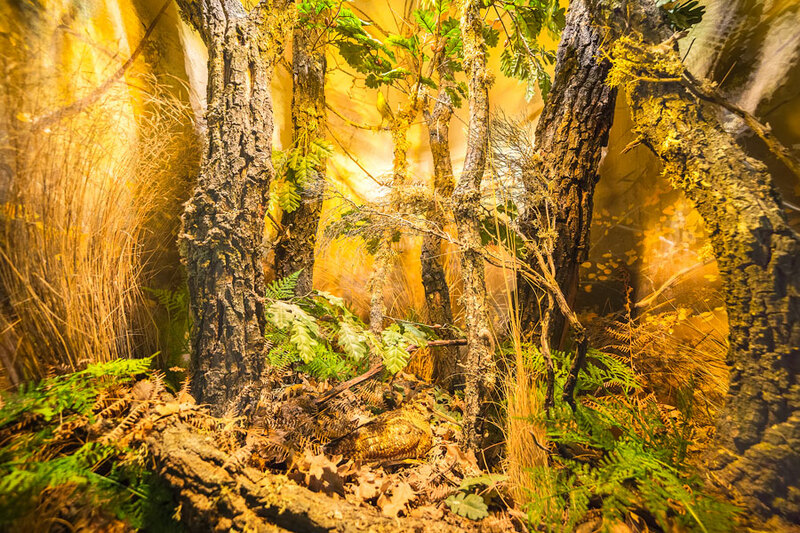 For years, both species have been declining in these lands. The scholarship is a wader bird squat, smaller than a partridge and forest habits. Its size is 30 a 35 cm. and its weight reaches 300 a 350 grams, having two morphological features that attract attention: long peak 67 a 80 mm and large black eyes, located at the top of the head that allow you to enjoy a view of 360 degrees, decrease the cost of su frontal view. The scholarship is also known by the names of "woodcock", "Deaf", “arcea”, "Oligorra", "Blind", "Pitorra" and "picona" localism and others depending on the region where hunting. Woodcock hunting has been iconic in Europe and northern Spain. Today is hunting for fashion, because the decrease in red-footed motivated to be searched in the virtues woodcock hunting small game queen had on merit. The Iberian wolf spread, for centuries, the Iberian Peninsula, and lived almost the whole mainland to the beginning of the twentieth century. 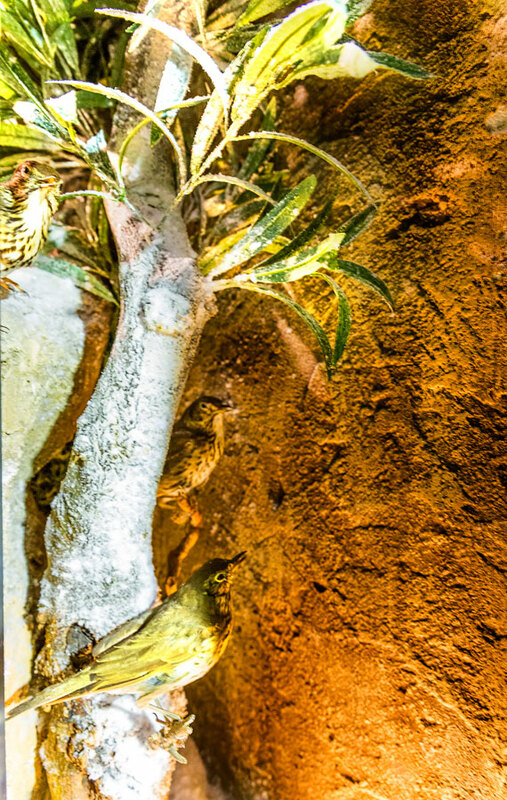 However, was about to become extinct in Spain during the seventies of the twentieth century due to the extermination campaigns organized by the superabundance of this animal, and practice which resulted in the eradication of this subspecies in the country, except the northwest and some areas of Sierra Morena. En Portugal, a similar policy in their fields cleared the wolf, over all the territory south of the Douro River. 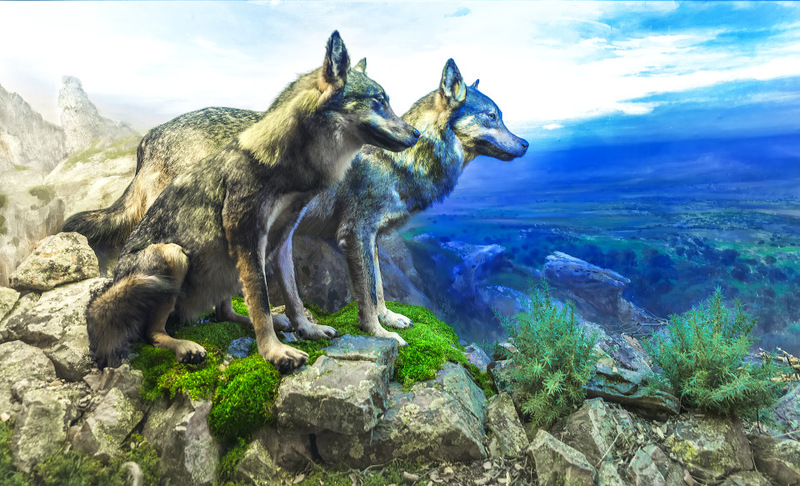 If salvó, was thanks to the work of several naturalists and popularizers like Spanish Félix Rodríguez de la Fuente, famous thanks to its program in TVE, "Man and Earth" where he spoke passionately of "Brother Wolf" as a species to protect. Wolf has been said and written, almost always bad image. The story "Little Red Riding Hood and the Wolf" presents him as an evil beast. Rev., suffering their theft of lambs or kids, sees it as an enemy who must defend, the same in the livestock economy suffering the loss of calves, and will be responsible for the hunter chase on clay or waiting. So the wolf, one of the most enigmatic and interesting animals in our wildlife, has become part of hunting. The last issue to be hunted in the Yébenes, was killed the 12 September 1972 by Fernando Aranguren in the Fincha "Puerto Alabarda". 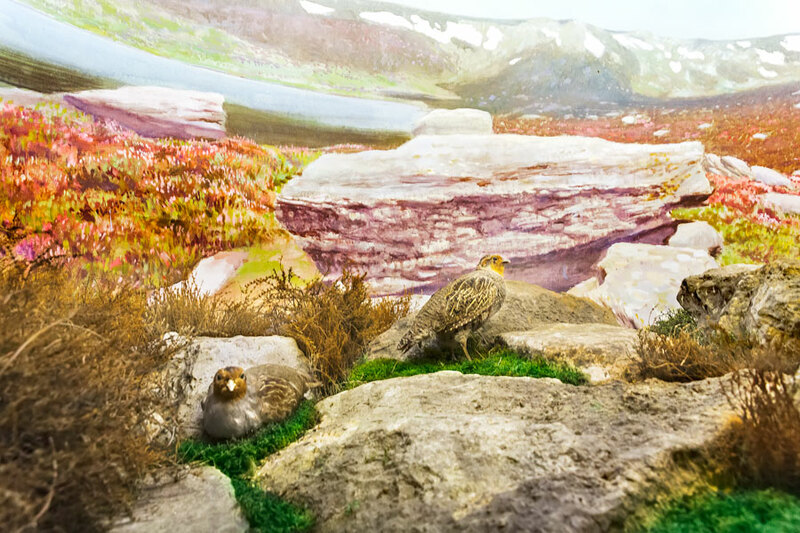 Grouse galliforme a kind of bird that is distributed across much of northern and central Europe, and small enclaves of the Cantabrian coast and the Pyrenees mountain range. In 1979 It was forbidden, in Spain, hunting of this bird and 1986 was classified as a protected species, but no such action has resulted in an increase of its population. Grouse hunting in the golden age of estrus, has had detractors both by hunters and the related protection Nature people. Some hunters were unsportsmanlike, and the groups guards feared his disappearance. Unfortunately the number of these birds has declined dramatically in Spain and has been due, partly, the disappearance of their habitat and, above all, by the appearance of the Boar, major predator of eggs, in areas in which they live. And would not breed them in captivity? We must answer that it is very difficult to raise them and then get them to fit into the wild. Besides having little would serve if no caged grouse woods where appropriate drop. The survival of grouse, is a question that matters and worries hunters. Trapping is the art of capturing an animal with the help of a device designed for this purpose. Today, It is absolutely forbidden, except for scientific trapping. 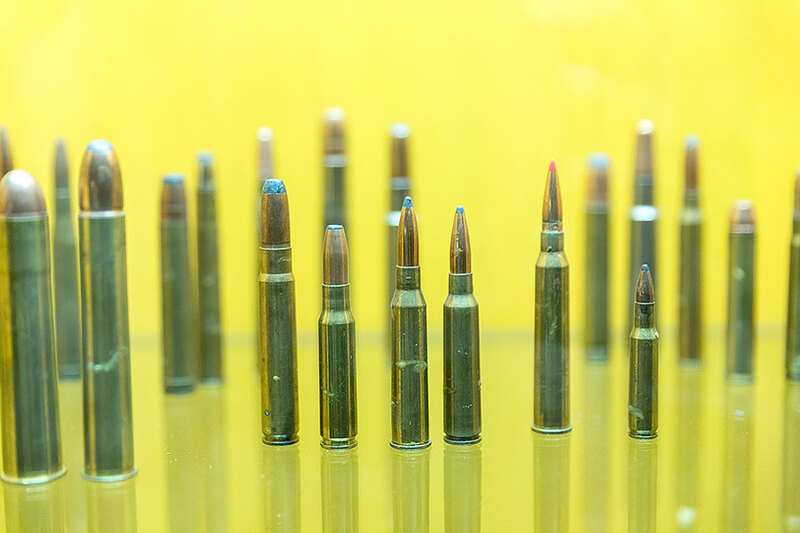 The ammunition used is different according to the big game or less. It is also different if used in shotgun or rifle. 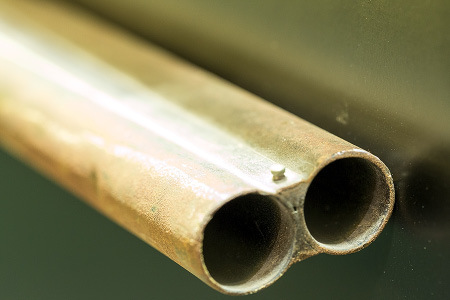 The shotgun is the weapon for hunting small game. 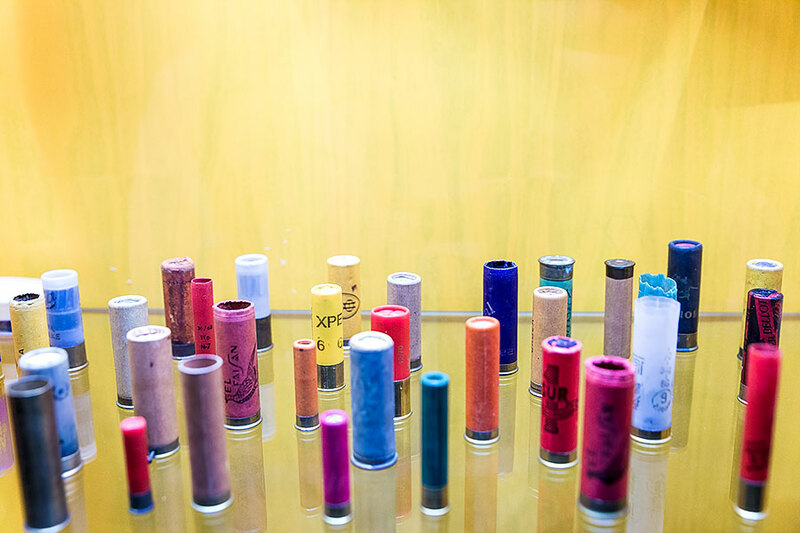 A shotgun cartridge comprises sheath, primer capsule, gunpowder, taco, bullet, and pellet. A rifle cartridge, Sheath, primer capsule, gunpowder and bullet. A rifle cartridge, Sheath, primer capsule, pólvora y bala. The scope shot shotgun is significantly lower than the rifle. The rifle can be folded pieces 250 meters and even further away. The shotgun loaded with buckshot will not reach 50 meters and the bullet barely 100 meters. The clinics are prohibited because they hurt, without killing, much game, something good hunter never want. 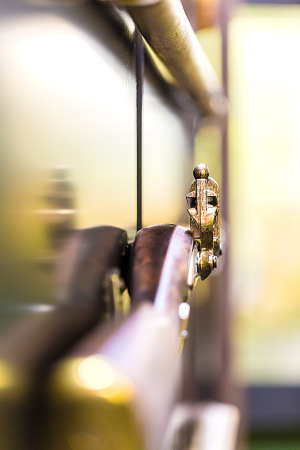 The imitation of animal sounds back, probably, beyond the onset of the first musical instrument. ◊	CLAIMS, directed mostly to the imitation of birdsong, but also cervids and canids. ◊	HUNTING HORNS, used to guide hunters and hunting dogs in the race. ◊	Snail, used in Spanish to call hunting dogs Rehal. Lately, has been incorporated, with absolute success, the shells in musical compositions, YEBEL as Angel Luis Fernández. Hunter not only uses his sight to know what the mountains are home. Mammals, unlike birds, are difficult to observe nature and its scary because much of its activity it is night, by both his footprints, the traces left in the vegetation and debris are the signs that the hunter uses to know about them and their haunts.